There seem to be mainly two types of Pinterest users. On the one hand, there are many bloggers who build their complete blog business on traffic from Pinterest. On the other side, is an endless number of marketers and bloggers who can’t seem to make Pinterest work for them. In most cases, the simple reason is that just posting on Pinterest is not enough. There is a lot more to success on Pinterest than a fairly readable and not too ugly pin image that you add to one of your Pinterest boards. But Pinterest has an immense power to drive traffic – and you sure want to utilize it. There is a huge misunderstanding about what kind of pins can bring you success. Many bloggers or marketers feel that they do not have beautiful photos and cannot afford to pay a photographer to change that. Not every blogger is working with photos. But that is not at all necessary – on the contrary. I have seen many pins that have huge numbers of repins – and I find some of them more or less ugly. But they still do the trick. Because Pinterest marketing success does not so much depend on the beauty of the pin image and much more on more feasible factors like the image size. Do not shy away from using Pinterest because you are neither a photographer or a designer. 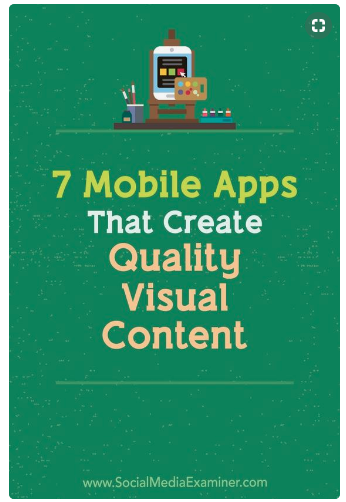 Make sure you are providing images that are higher than they are wide – because vertical images get a ton more attention on Pinterest and these types of images look by far better on mobile. The most important factor of successful pins is the text overlay. You have to make sure that people instantly see what the content of the pin is about. Some successful pins do not use a photo at all. Some pins are a simple background with text on it – and you know what? They work! The key to traffic from Pinterest is to make sure your pins get shown to the right people: people from your target audience. For that, you have to make sure that Pinterest and Pinterest’s Smart feed understand what you and your pins are about. One key factor to achieve this are keywords – and there is more than one place on Pinterest where you can put keywords to good use. The first place where you should use keywords – and probably are not using them to their full power is your Pinterest profile. It already starts with your Pinterest name. Did you think of using your most important keyword(s) there? Make sure your boards have a clear topic – and then use related keywords in the board descriptions. Don’t go for fancy board names, make it clear at first glance what your boards are about and tell Pinterest and its users in the description what you are going to pin to the board. The following example is rather extreme since it does not have a real description to the board. But it makes the focus of the board more than clear by stating all the topics that will be pinned to the board with related keywords. You can see that you should rather go for a couple more keywords than leave out important ones. Again, the boards a pin is pinned to helps Pinterest to decide for whom this pin may be of interest. And keywords in the board description help to identify the board’s topics and thus the interest group of the pins from this board. I still see far too many pins without a description, that means you are missing out. The description of a pin is one of the most important places for keywords. If people search for a topic (and a lot of people search for content on Pinterest! ), you want to make sure that your related pins have a chance of appearing in the search results. That is why you should make sure that you mention all the important keywords in your pin description that people might search for when you want your pin to appear in the results. Not so long ago I have read a lot of Pinterest advice by some experts that Pinterest would be a search engine and not a social network and you should not be using hashtags on Pinterest. That changed in fall 2017 when Pinterest officially put hashtags back on the table. Now, the first four hashtags from the pin description will show below the pin and Pinterest allows for hashtag searches – plus the hashtags will be used by Pinterest to figure out what topic the pin belongs to. What decides how often your pins are shown to other Pinterest users is not so much about the number of your followers. It is much more about making sure Pinterest knows what your pin is about and who might be interested in it. We have already talked about the importance of keywords on Pinterest to help Pinterest identify the topic the pin is about. But there are more ways to make sure that Pinterest knows what your content is about and which pinners would like to get it. And that is the content you pin. When you are new to Pinterest, Pinterest still needs to figure out what your pins, boards, and topics are about and who is interest in your content. You can help Pinterest figure this out with a simple trick: Pin content that is closely related to the content you pin from your blog or website. Use Pinterest content that obviously already attracts a large number of repins and clicks. Go to the trending section on Pinterest, by clicking on the little compass besides the search field. Search for related content in this section. When you pin content to your new boards, make sure the content is highly relevant to the board. For a vegan recipe board, make sure you pin content that mentions vegan and recipe. For a Facebook marketing board, don’t pin Instagram tips, stick closely to the Facebook topic. Do not try to keep your boards broad so that you can pin more diverse content to it. Make your boards highly specific. This way it will become easier for you to make sure that Pinterest has a clear understanding of what the board and content are about! Pinterest wants you to be active on the platform. The time when you pin a pin is not of vital importance since it can show up in other pinner’s feed even weeks after you pinned it. But it is crucial that you pin regularly (read daily). Plus you have to pin a lot. Statistics show that 30 pins per day are by far not too much. Some successful pinners pin over 100 pins per day. The need to pin a lot and keep your Pinterest account active at all times is one reason why many Pinterest users turn to automation. There are several tools that help you to keep your Pinterest account active without having to spend your complete blogger day on the platform. While pin automation can be a lifesaver if you are busy and would have trouble to keep up with all the pinning without tools, you should not set up your Pinterest automation and forget all about it while you wait for the results to show and traffic to your blog stream in. Pinterest is not stupid, and it clearly favors people who are not just trying to game the platform but who take an active part on the platform. That means that it is well worth the effort to add some manual pinning to your Pinterest activity. Before you start pinning hundreds of pins per day, make sure you have got your basics all set up for major Pinterest success! 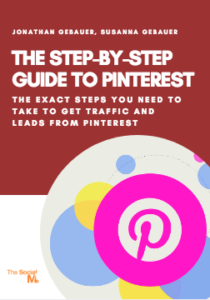 If you get the basics right but still not seeing the traffic results from Pinterest that you are looking for, the above 10 optimizations should help you to get your Pinterest marketing right on the track to major traffic success! 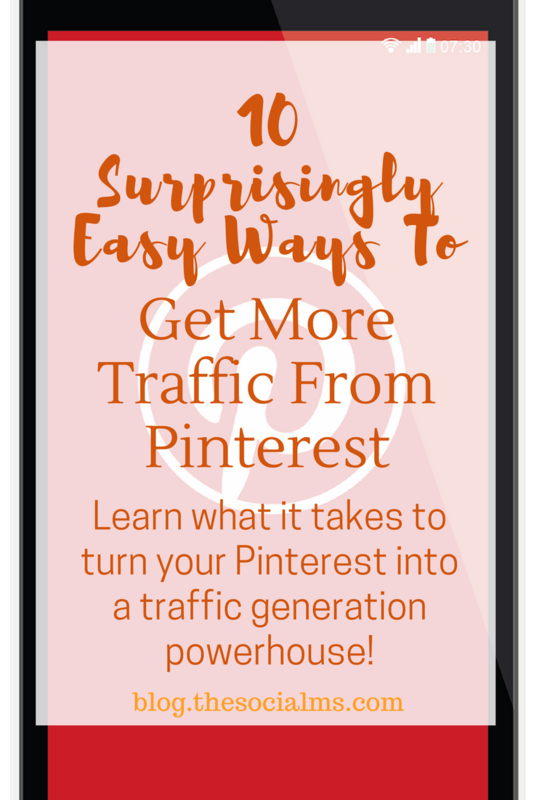 Are you struggling to get traffic from Pinterest? Somehow it does not work as promised? We tried all the tips we could find, dropped what did not work and compiled a thorough process that works. Get step-by-step instructions of what you need to pin, how often you should pin, where you should pin – and the tools you can use? Email Personalization Lessons from Brands that are Doing It Right!